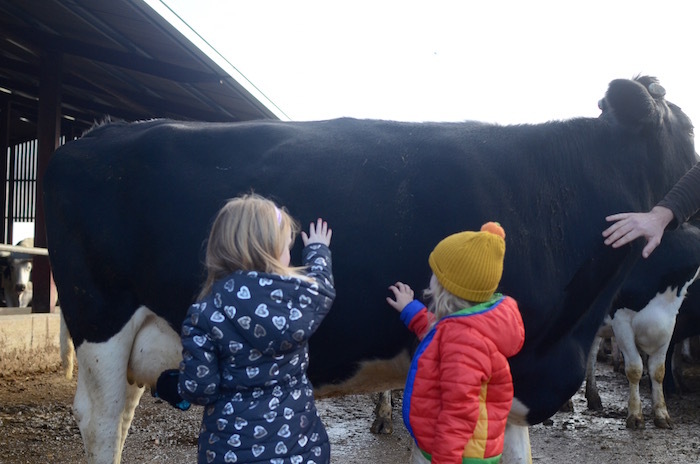 We were invited by Cadbury Dairy Milk Buttons to go to Gloucestershire and visit the farm where the milk for the Cadbury chocolate comes from! 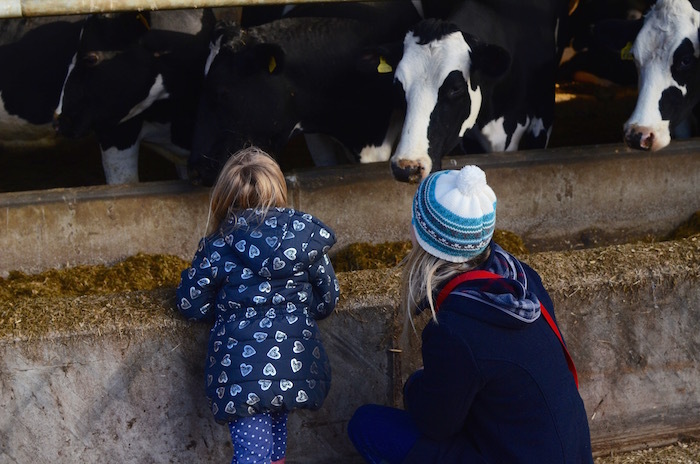 After learning that one in five children don't know that milk comes from cows, Cadbury have made it their mission to educate everyone about their happy cows. Robs farm was huge and surrounded by beautiful countryside. 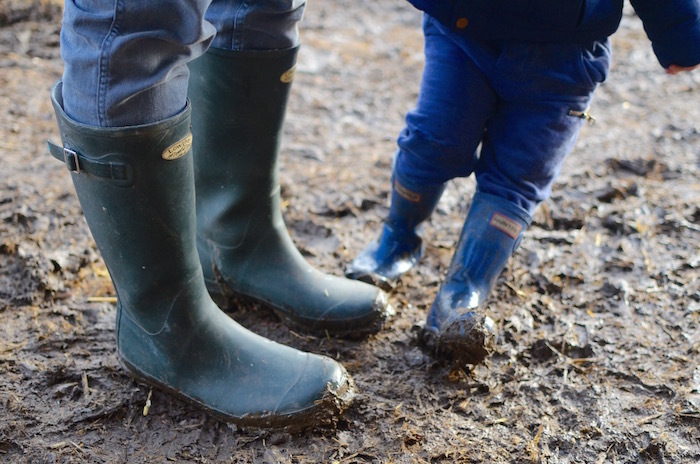 The kids were ridiculously excited about meeting all the happy cows, as well as stamping around in the muddy puddles! 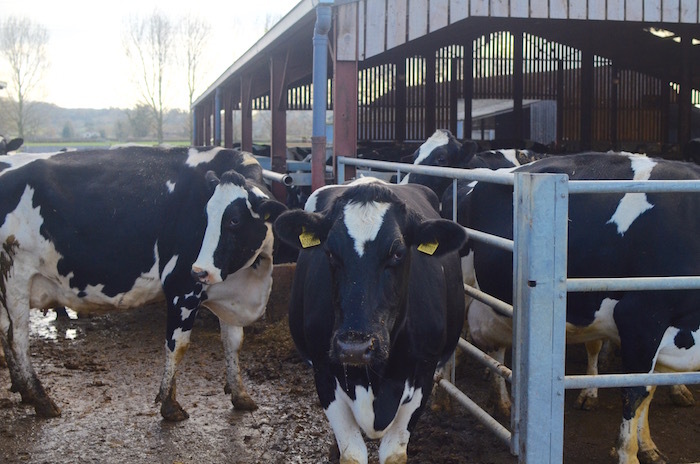 With over 300 cows to look after, Rob really has his work cut out. 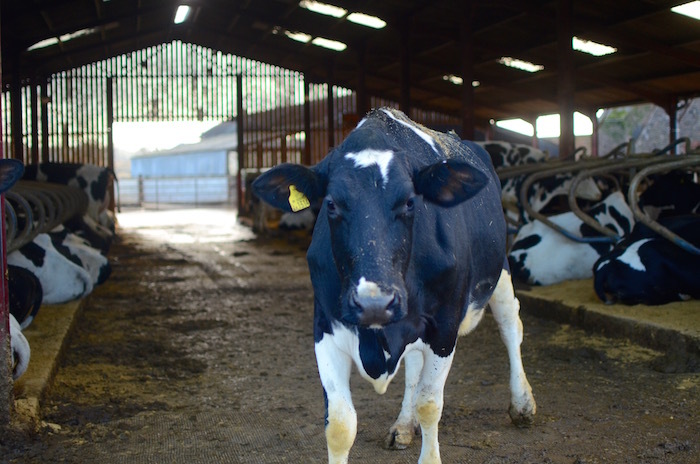 The cows produce over 2.5 million litres of milk a year, which means they need to eat 50 kilos of fresh food a day each. 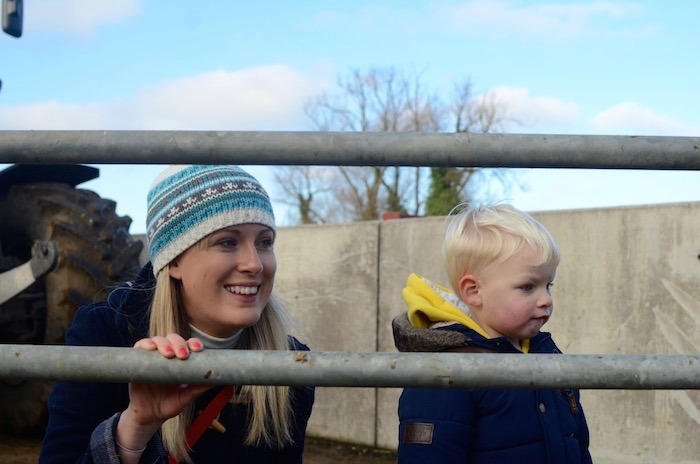 The kids had great fun feeding all the cows (well, throwing hay towards them which I think counts ;) ) and even got to meet one up close! I think Thomas was a little weary of them. I mean, cows are huge right?! Especially to a two year old. 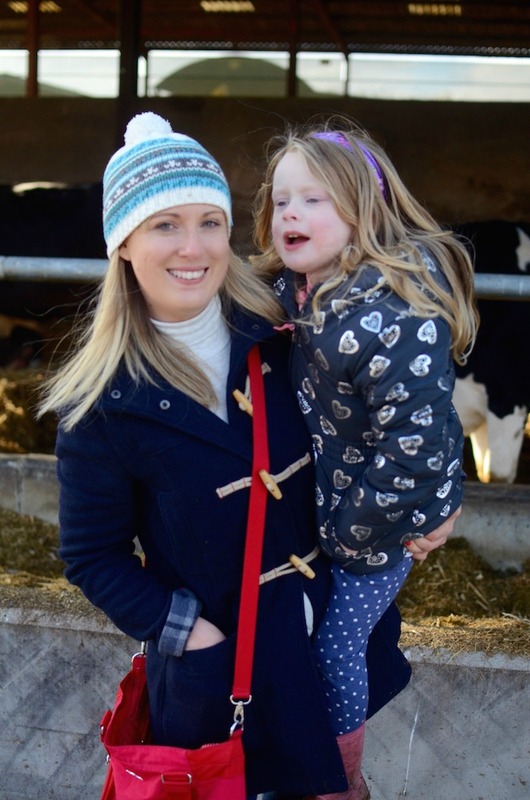 But Alice was in her element, she is a real animal lover at heart. We learned about how the milk is taken off site and mixed with delicious Cadbury Cocoa, and then taken to Bournville, which is where the Cadbury Factory is. It's turned into the Cadbury Dairy Milk Buttons we know and love there! By the end of the day, I was starting to really understand the importance of teaching my children where the food they eat comes from. 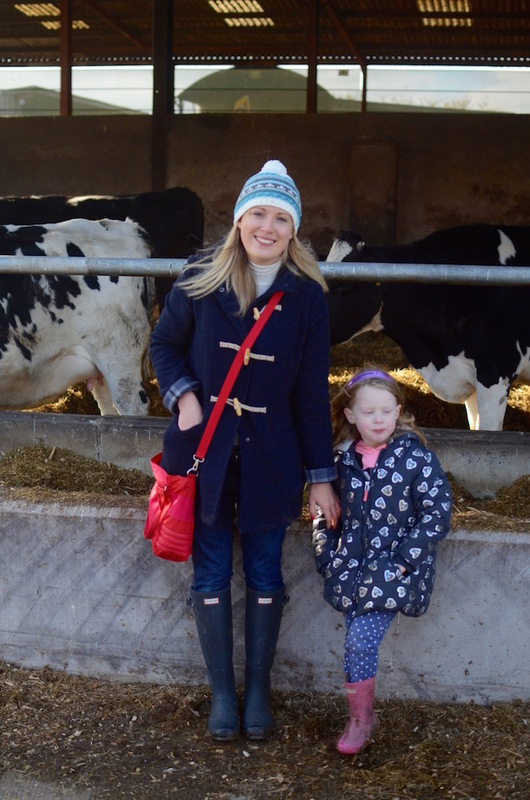 I'm ashamed to say, my two children thought milk came from the supermarket, and had no idea where it was before that! 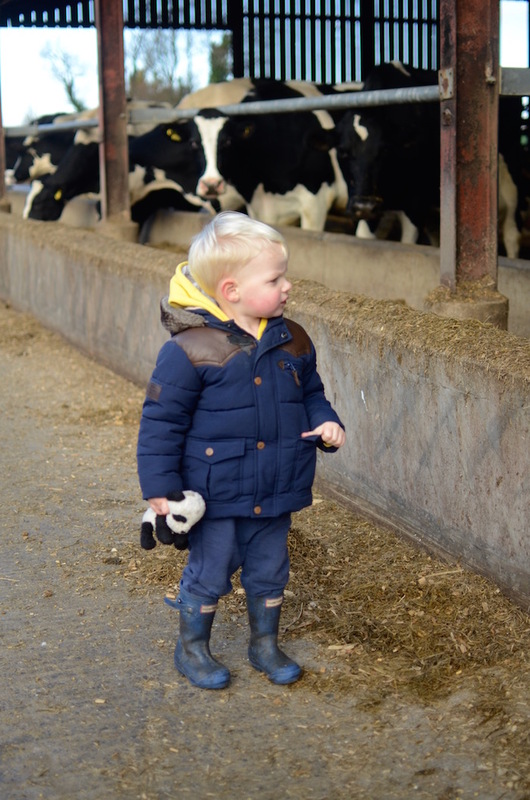 In my defence, the are City kids and the closest they usually come to a cow is in their toy box or through watching Paw Patrol! 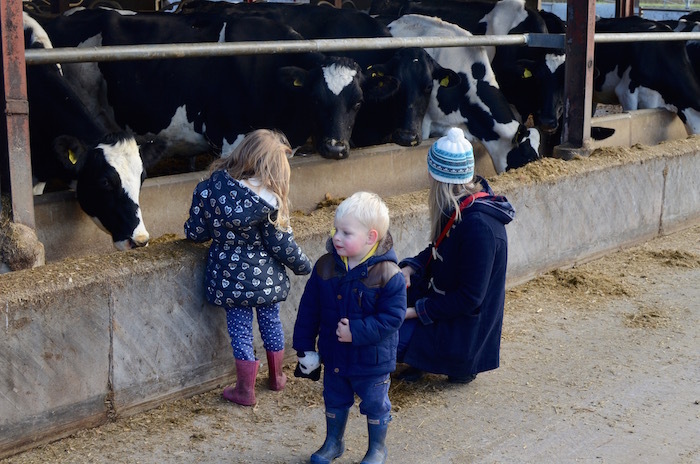 But they were fascinated to learn all about the cows and where the milk was coming from, and how it became Cadbury Dairy Milk Buttons. 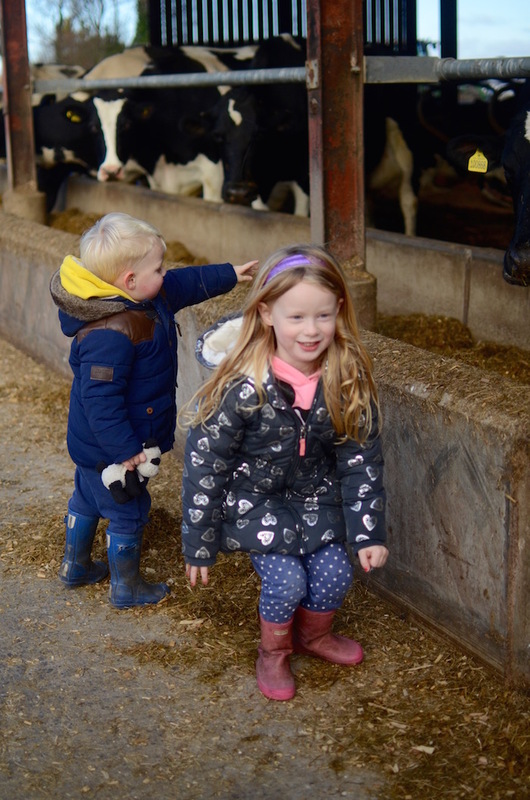 Cadbury have teamed up with Giovanna Fletcher to highlight where the milk used in it's iconic Cadbury Dairy Milk Buttons comes from and to educate children about the origins of milk. You can give the video a watch at Facebook.com/CadburyUK or tweet them at @CadburyUK . *This post was sponsored by CadburyDairy Milk Buttons.